Jan Vincent Sam, 27, is a new and emerging versatile artist from Kelowna, British Columbia. 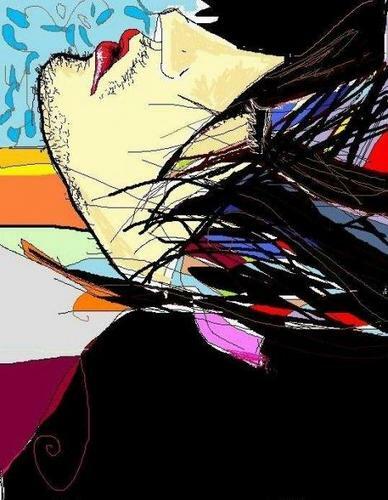 The website features examples of his unique and interpretive â��digitalâ�� portraits which are hand drawn and rendered utilizing computer software, as well as his one of a kind, â��analogâ�� originals. Jan Sam, a true original himself, is also a songwriter, musician and poet. During the past six years he has experienced a number of soul searching events while on his journey; from living life on the streets as a busker to challenging himself spiritually, and coming to terms with his First Nations heritage, all the while with sketch pad in hand. Janâ��s distinctive images are expressed in a variety of mediums including digital renderings, drawings and mixed media.